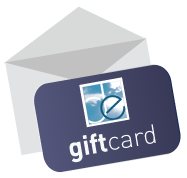 A Dream Events USA gift card is the absolute perfect gift! Want to send your grandson to see his favorite band? Want to show your client how much you appreciate their business throughout the year? Want to give your mom tickets to a Broadway show for her Birthday, but don't know which show she wants to see? With a Dream Events USA Gift Card, you can give your clients / friends / family members a fantastic gift, of letting them choose the event they would like to attend most. Give us a call at 212-575-7737... or send us an email at info@dreameventsusa.com... to inquire about purchasing a Gift Card today. Our Gift Cards never expire!